Mobility is now an integral part of patient care allowing for faster access to life saving information that enables providers to deliver exceptional levels of service. Visionary IT delivers robust, secure wireless networks for healthcare facilities nationwide. Xirrus distributes intelligence across the network into each Access Point, eliminating the single point of failure and performance bottleneck of centralized controllers. Application Control prioritizes critical applications over recreational usage..
It’s a BYOD world. Enterprises today earn as much with laptops, tablets, and phones as they do with brick and mortar or face-to-face contact, and technology won’t stand still. You need a Wi-Fi system that can keep up with the times. Count on Xirrus to help your enterprise profit. 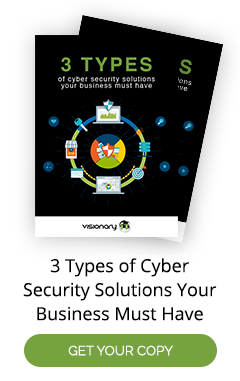 Want to try Visionary IT Networks for free? Request a 30 day evaluation today!